A person born on the territory of the Russian Federation, whose both parents or one of them is the citizen of the Russian Federation, it is automatically assigned the status of a citizen. Foreign nationals who have these conditions are not met, the situation is more complicated. 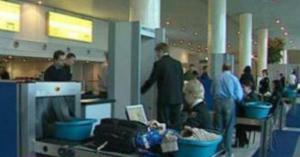 Russian passport – objective, of course, many foreign citizens arriving to the territory of Russia. Advantages of obtaining Russian citizenship is obvious. Is it possible to legally get a job, to get a position in a large company, to make allowance, to receive benefits. Free education and medical care is also available to citizens and their children. Become a citizen of Russia by birth, or obtained by passing a standard procedure (it is common and Express). In 2014, the Law was amended, which allowed some groups of migrants to gain the right to become citizens of the Russian Federation under the accelerated procedure. In the Federal law №62-FZ "On citizenship of the Russian Federation" clearly indicates the categories of persons who are entitled to expedited procedure. First of all, the amendments affected migrants, fluent in Russian language and permanently residing on the territory of Russia. On an accelerated procedure under the new legislation have the right for those foreigners whose ancestors lived in Tsarist Russia or in the Soviet Union within the state borders of modern Russian Federation. A requirement for participation in the accelerated procedure of obtaining Russian citizenship is the renunciation of the existing citizenship. However, the law provides the cases when is not necessary to renounce citizenship of another state. These include situations that are regulated by international agreement of the Russian Federation. The waiver is also not required if it is impossible for the reasons independent of the applicant. Russian-speaking individuals can obtain citizenship under the accelerated procedure, it will not play the role nor the duration of stay within the Russian Federation, nor the presence of a residence permit. No need to also pass a test to determine the degree of proficiency in Russian. Applicants for citizenship of the Russian Federation will only need to pass an interview with the special Commission. Departments of the Federal migration service of the petition on the accelerated procedure of obtaining citizenship of the Russian Federation is considered in more deadlines. All these procedures are given three months. Currently in an accelerated program to obtain citizenship are residents of Kazakhstan, Belarus, Kyrgyzstan (since these countries Russia has concluded international agreements), as well as other CIS countries. Thus, for example, the citizen of Kyrgyzstan to obtain Russian citizenship in an accelerated program. The accelerated procedure allows to reduce the required time of residence in the territory of the country and pendency of petitions. For migrants provided the procedure for issuing special visas, the purpose of which is to obtain a residence permit and, then, the granting of citizenship. When the simplified procedure of obtaining a residence permit is not required, it greatly simplifies the whole procedure of obtaining citizenship. - studying in the Russian Federation or former Soviet republics. knowledge of Russian language and willingness to prove their knowledge during testing. the applicant has a significant contribution in cultural and technical fields or specialization of value to the Russian Federation. Citizens of the former Soviet Union, as well as military personnel who served in the army for over 3 years, residence permit and stay in the country for more than 5 years will be required. These categories can obtain citizenship in an accelerated program. The process of obtaining citizenship of the Russian Federation in several stages. The migrants before entering the country must obtain a visa document. While border control is given a migration card, in which is placed the entry stamp. 7 days is given to the migrant to ensure that he was notified about his arrival regional Department of the FMS. the certificate on statement on the account in tax inspection (available on request). For the citizens of Belarus made an exception: they are required only registration, migration card to the citizens of Belarus are not available. Within 60 days of the filing of the Department of the FMS shall consider the application together with the enclosed documents. Then we issue a decision to grant or refuse to issue the RWP. About the decision the applicant is notified. In case of positive decision the applicant must arrive at the Department of the FMS for obtaining a temporary residence permit. in other cases established by Law. A residence permit gives migrants the right to live safely in Russia on the legal bases with all the benefits. First, a foreign national can legally work, get a job in a Russian company without getting special permissions. Secondly, a foreign citizen with a residence permit may freely leave the country and return back. Thirdly, is entitled to receive a pension upon retirement. And, of course, the residence permit is the penultimate stage to obtain citizenship. To obtain this document, the migrant must apply to a division under the FMS, which is located in the district of his residence, with the petition. If a residence permit has previously been issued with a validity period that does not end in six months, starting from the date of referral to FMS, it should bring. From this there are exceptions. They relate to those migrants who participate in the program "Compatriots". For these persons the period of validity of residence permit is ended after 2 months from the date of application with request for issuing a residence permit. receipt of payment of the state fee (currently the fee is 2 000 rubles). In the period up to 6 months, the FMS shall consider the application and attached documents. In case of positive decision the applicant receives the notice, and shall be in the Department of the FMS for further processing. A residence permit is issued for a period not exceeding the validity period of the applicant's passport. Maximum period for issuing a residence permit is 5 years. the rejection of the existing citizenship. if there was a change of name, you must submit copies of certificates from the registry office, a certificate should be certified by a notary. If the applicant has children, each of them must provide a photocopy of birth certificate, notarized, or a copy of the passport (if the child already has a passport). You will also need to provide photos (4 pieces). There is no need to take the test for Russian males over the age of 65 and female over 60 years old. Test on the Russian language is not required for nationals of those countries in which Russian is the official language. For example, for citizens of the Republic of Belarus. Applicants for citizenship should note that the examination on the Russian language paid, the cost to date is 5525 rubles. Depending on each specific situation, the list of documents may be amended and supplemented. It should also be noted that the documents will be accepted by the FMS only if they are notarized by a notary public and have the translation. Documents shall be prepared by the applicant in person to the FMS in the area where the applicant is registered. If the applicant resides outside the Russian Federation, the documents can be sent to office of the Russian Federation in this country. In exceptional cases, when the documents by the applicant cannot be given personally, all the documents permitted to send by mail or transmit to the Trustee. In this case, all of an applicant's signature must be notarized. To verify the correctness and completeness of the submitted documents lasts about a year. After this, the decision on the granting or denial of citizenship. 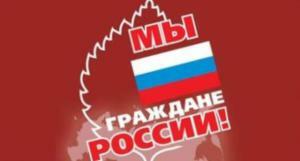 Who makes the decision and makes the President of the Russian Federation. One of the most common reasons why migrants seek Russian citizenship, is the conclusion of a legal marriage. In this case the main condition is the residence of the spouses within the territory of the Russian Federation, one of the spouses must be a citizen of the Russian Federation. The statement in this case is treated in a concise manner. The term of the application lasts no more than 6 months. In this case, it is important that the marriage took place in the Russian registry office. Marriages concluded outside the Russian Federation, according to the laws of another country, and civil marriages in this case are not considered and do not constitute a reason for granting citizenship on preferential terms. Prior to filing the application, spouses must be married at least 3 years. This time interval is written in the law, to reduce it. The item serves as a guarantee that the marriage is not fictitious, and concluded only for the sake of obtaining citizenship. Of course, at the time of filing of the petition the marriage should be dissolved. Preliminary stage the applicant passes the standard – he draws a temporary residence permit, residence permit. In connection with marriage to get the sun maybe out of quota, which greatly simplifies the procedure. One of the more common types of citizenship is the acquisition of his birthright. If at the birth of a child by his father and mother were the subjects of the Russian Federation, the newborn automatically becomes a citizen. And it does not matter, he was born in the territory of the Russian Federation or abroad. 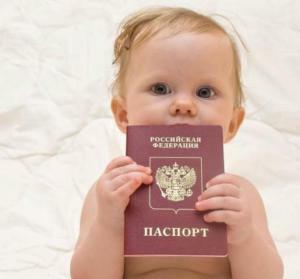 However, if the second parent has the nationality of another state and the birth took place outside Russia, then the child will not be able to be considered a citizen of the Russian Federation for the acquisition of such status will be required to undergo the process of obtaining citizenship. Foreign citizens who previously had Russian citizenship, but for some reason its lost, can recover their citizenship in a simplified procedure by completing the reintegration, or restoration of citizenship. proof of knowledge of the Russian language. Document a bit, so the problems with the restoration of citizenship should not be. Compared with other countries, in Russia the most democratic in the world the legislation on the issue of restoration of citizenship. Ukrainian citizens can obtain citizenship under a simplified procedure. In contrast to the usual order in which you must stay on the territory of Russia for 5 years, income, knowledge of the Russian language and a permanent place of work, the Ukrainian citizens do not. For Ukrainians envisions a simplified procedure for obtaining citizenship. This also applies to refugees from Ukraine. Initially you must apply for a residence permit. Under the simplified procedure, the processing time of the application for citizenship is 3 months and the next is the petition for admission to citizenship. 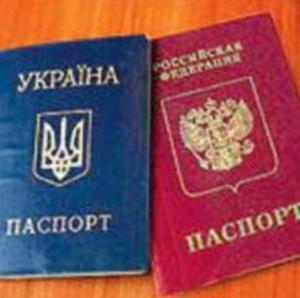 Currently, FMS does NOT require renunciation of citizenship of Ukraine those who want to obtain Russian citizenship. This situation happened because of the events in Crimea. But the citizens of Ukraine signed the document, which guaranteed the exit from the Ukrainian citizenship. The rejection of the citizenship of Ukraine is held in the procedure established by the law "On citizenship of Ukraine". To exit you will need to draw up a petition, which will be further considered by the Commission on citizenship issues in Ukraine. A child who has Ukrainian citizenship by birth, may withdraw from it upon request of one of his parents. Ukrainian citizenship shall be considered terminated from the date of publication of the relevant Decree of the President of Ukraine. In 2015 for the Russian Federation citizenship to foreign citizens on the territory of Russia, it is necessary to write the statement for renunciation of citizenship, send it to the Consulate of your country located in Russian Federation. You can then apply for the Russian citizenship. If the output of another nationality when obtaining Russian citizenship will be is yet to be made, a foreign citizen will need to notify the FMS by writing a standard application form. The Notification form and a sample of the Notification about the presence of another citizenship, You can download on our website - (the notification Form and a sample of the notification about the second citizenship). Upon acceptance of an application, the foreign citizen is issued with a tear-off portion, which must be stored. Persons arriving in Russia for the purpose of obtaining refugee status must apply within one day after crossing the border. Refugee status gives entitlement to a lump sum allowance, temporary shelter, food and necessary medical care. Children of refugees are entitled to a place in kindergarten, school queue, but availability. Spanning 9 different time zones, the Russian Federation is the largest country in the world and covers an area that is almost twice the size of that covered by the USA. It has an approximate population of 142 million people. A working knowledge of Russian is a necessity for most business jobs when living in Russia, especially those that are situated outside of the major cities.